Evelyn Lozada does not mess around when it comes to her children. Especially her beautiful daughter, Shaniece Hairston. In a heated argument with co-star Jackie Christie, Lozada came very close to ripping her to shreds. The confrontation viewers saw in Monday night’s episode was a continuation of the blowout from the week before. At a magazine cover release party, the two began to go at it when Christie fiercely insulted Lozada in front of Shaniece. The night resulted in Evelyn getting Jackie thrown out of the building but not before a grand exit. In this week’s episode, the two were supposed to sit down and apologize but things took a turn for the worse. 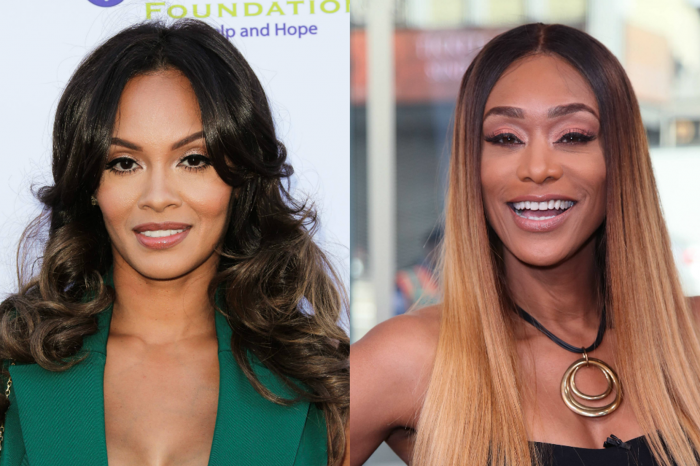 Before the women met up for dinner, the 41-year-old mother of two was told by Tami Roman that Jackie thinks that she wanted to be “sister wives” and a part of her family. The reveal made the tension at the table ten times thicker and it turned into an insulting exchange of words. Christie gave a few low blows, but the worst was when she insulted Shaniece causing Evelyn to see red. She got up from the table to go outside and cool off. Doug Christie’s wife decided to follow and that’s when Lozada went after her. Security was called to make sure that the two were separated. The ladies just so happened to be in Lozada’s home state of New York. She took the opportunity to say that she would call up some of her friends and have them waiting for Christie at the hotel. Although it seemed like Jackie was trying to get along with her new co-star, insiders say that she never let go of the fact that Evelyn donated to her daughter’s GoFundMe and was waiting for a reason to attack her. The confrontation is definitely going to spill over to the next episode but the juiciest thing that was revealed tonight was that Jackie Christie is 51-years-old and not 47-years-old like the internet says. 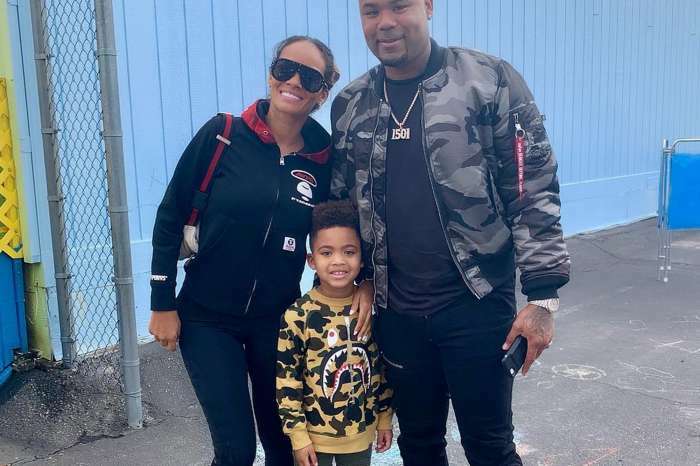 Evelyn Lozada,The ‘Basketball Wives’ Star, Gets In Trouble Over Son Carl Leo Crawford’s Prayer Video — Is Chad ‘Ochocinco’ Johnson’s Ex A Hypocrite? Jackie is too old to be on the show, and she is conniving and bitter! Jackie why dont u go for Tami Evelyn is just a slice of cheese. I need to to go for the whole block u old bully. 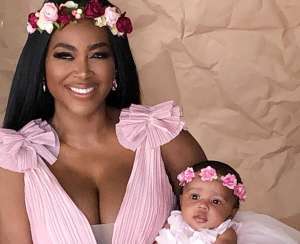 Evelyn Lozada I understand because I am a mother I have a daughter and I would feel the same way if someone called me out of my name in front of my child. All mothers are Protective of their children. So I get it really feel for Evelyn. Jackie tends to straddle both sides of the fence btw the 2 groups and she is a liar and she gets very fired up when she’s called on it. Why get mad at Evelyn for giving money to the go fund me ? There wouldn’t be one if you were doing what you do for your other daughter. You do have another grand baby that was very badly hurt where are you in that situation. You need help Jackie truly there is something wrong with you I will pray for you. Start acting like an adult and not someone your daughter’s age. As for Malaysia and Brandi why does Malaysia think she’s Brandi’s bodyguard she’s a grown woman she’s bigger than Malaysia. She can take care of herself. To be honest they act like little kids and they can be replaced and should be. Get rid of Malaysia & Brandi. Bring back Jenifer & British Williams. Bring back Royce & Suzi too. Also the Govan Sisters. JACKIE you go girl. Evelyn always bullied the other ladies now its her turn. Jackie Christie was way out of line. If she had been taking care of her own daughter no one would have had to contribute to a Go Fund Me page. I truly believe Evelyn did that from her heart. If Jackie had of made that comment about my daughter Basketball Wives would be off the air. Jackie has lost her mind. Why would Evelyn ever want to be Jackie or have her life? Delusional.